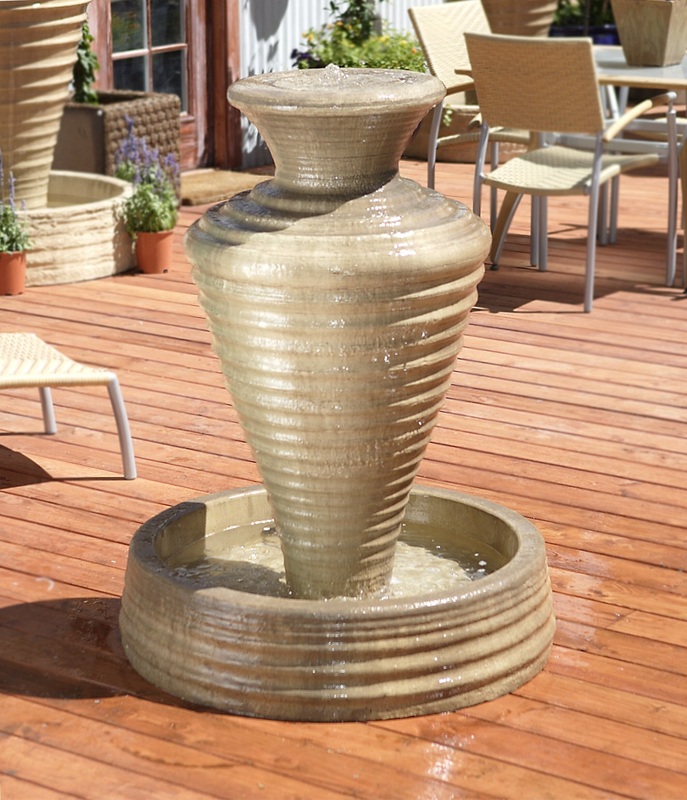 The rippled surface of this fountain looks fantastic in cozy courtyards and foyers. It's styling and texture will compliment any theme. Indoors, aim a subtle light to accentuate the movement of the water over the ripples. 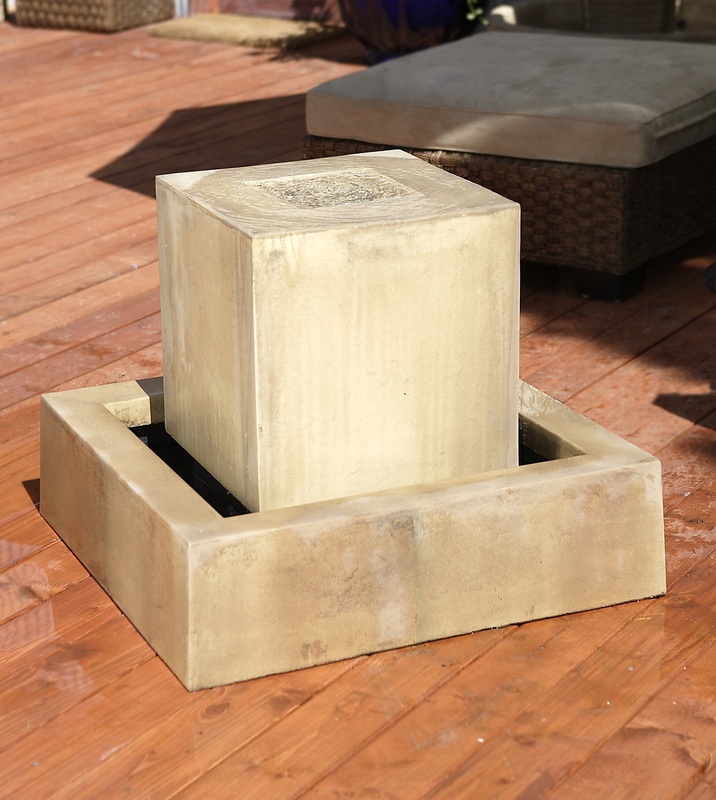 The trick to have the ripple effect look so clean is to have river rock surrounded on top of the fountain. DIA 35" H 45" | 453 lbs. DIA 42" H 56" | 727 lbs.